Faking a smile at Sun Top. Photo by Glenn Tachiyama. I somehow faked a smile for Glenn’s photo of me summiting the final climb of the race: Sun Top. That is, right after my true self was revealed to the camera in a less flattering shot. A few hundred feet later, I saw the white tent that indicated I had reached the Sun Top aid station. I stumbled ahead and located a green Rubbermaid container with nothing piled on top of it and quickly claimed it as my own. Thankfully, it didn’t give way when I sat down on it, nor did anyone chase me off it. My head sank low. For the second time in the race, I was wrecked; there was nothing left. Quickly, an aid station volunteer descended upon me, asking me “what can I get you?” as she avoided telling me I looked like death (but I am pretty sure she thought it). “I don’t know,” I quipped. Really, all I wanted at that moment was to stop moving for a few minutes and gather myself up. After a few minutes, I raised my head and asked for water and watermelon. She offered to fill my hat with ice. I agreed to it. “Can I get you your drop bag?” Yes, I answered, not moving an inch off my perch. “It’s number 151 and it’s big and black.” Within seconds it appeared, but all I wanted out of it was the bottle of Coke. The volunteer told me that she had fresh Coke but I insisted on mine; I didn’t want to take someone else’s chance to energize. “Do you want a cup?” Sure. I opened the bottle and poured some in the cup. It was warm. “How about some ice?” “That would be great.” I sucked that Coke down and slowly I came back to life. At the previous aid station at Fawn Ridge, I could no longer stand my warmed over Tailwind nutrition sports drink so I had them replace it with water and ice but that too had warmed and wasn’t exactly something to look forward to. I have no love for Coke and Pepsi and all these companies stand for, which is basically the need to make billions while sending millions — maybe billions — to an early grave by pushing gallon after gallon of diabetes and heart disease to the masses. But during a 50-mile race, I have to admit that Coke (or any caffeinated soda for that matter), is the magic elixir I so desperately needed. Another volunteer made his way over (I wish I remembered their names) and asked me how he could help me. What a wonderful thing that these volunteers were so helpful when I was at my lowest. Just as if they were a sales rep at Nordstroms and I was one of their top customers with a fist full of credit cards ready to purchase thousands of dollars of clothes. But there was really nothing in it to motivate this awesome crew of volunteers other than the good feeling in their hearts, knowing they helped another runner achieve their goal. 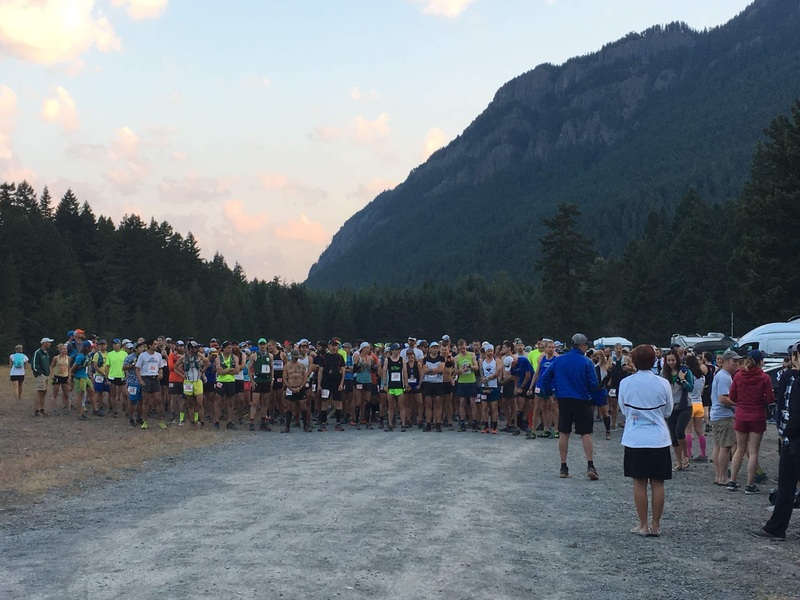 (I hope to pay that back a little volunteering again at Cascade Crest 100 in a couple of weeks.) Speaking of Nordstroms, I mentioned that I wanted to change my shoes, and suddenly the shoe salesman in my volunteer came to life. I muttered something about being able to do it myself, but before I knew it my Topo Terradventures had been untied and removed, and my Salomon Sense Rides were securely on my feet. Talk about service! I next mentioned that I wanted to put my poles in my bag since I had little use for them on the remaining 13 miles. I collapsed them and he carefully placed them into my drop bag with my dusty pair of Topos. After a few more pieces of watermelon and some fresh water added to my Nathan bladder, I rose to my feet and headed out, shouting a big thank you to those tireless volunteers, as I started to move again. It was 6.5 miles straight down to the next aid station along a dusty gravelly Sun Top road. 50 miles is a long way to run. I realize that many others have run much further, but prior to July 28th, I had not. 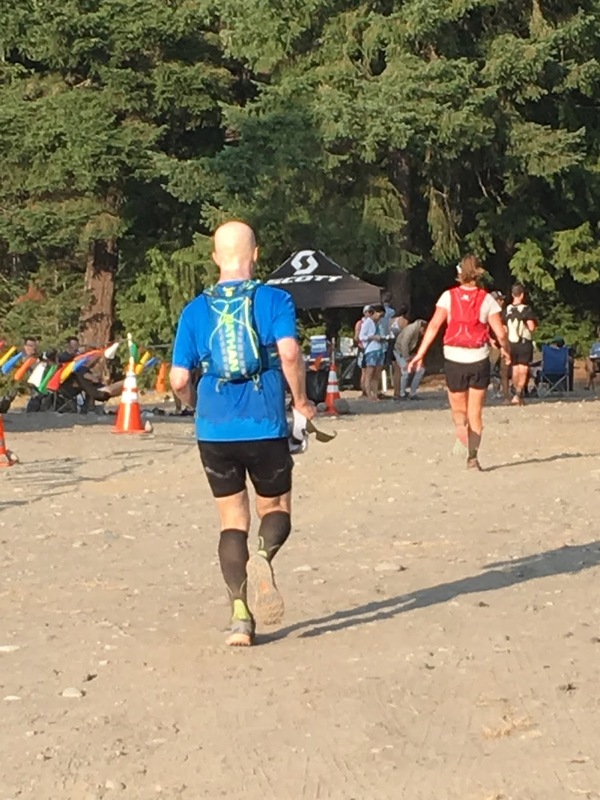 I have been wanting to move up to 50 miles since I did my first 50K back in 2015 at Chuckanut. 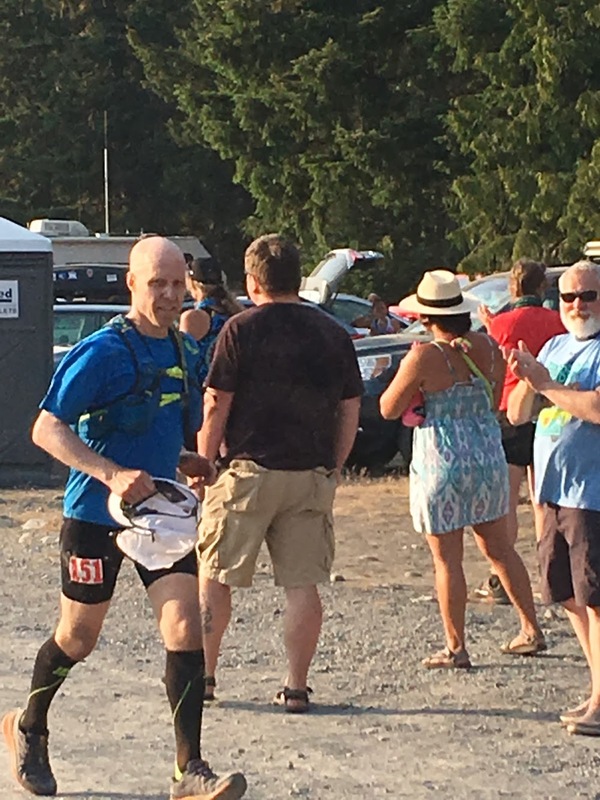 Fast forward 3 years: I have now completed 5 x 50K’s and have been able to get past my reoccurring ankle injury to finally make it to the starting line of the White River 50 Mile Endurance Run. The race director, Scott McCoubrey, was yelling something around 5:45 AM. I couldn’t hear anything but a few bits here and there. Something like “it was going to be hot” and “hydrate a lot” plus he was detailing every turn of the race. But I had already run the second half of the course in training, and since I was going to be in the middle (back) of the pack, I wasn’t too worried about getting lost. Not to mention, that I was carrying a map of the course and, as it turned out, the course was well marked. The start. Photo by Suzanna Litwin. We lined up around 5:50. I walked to the back. At 6:03, the race started. There was no gun or bell. At least I don’t think there was; it was hard to hear since Scott was not using a megaphone. I believe it was just Scott counting down to zero and we were off. Anyway, I started my watch when I detected runners in the front of the pack moving. And we were off. The days leading up to the race were quite hot for the Seattle area, topping 90 degrees fahrenheit for days. I was worried about the heat and its effect on us runners but it was cool enough at the start. However, within the first half hour, I noticed that my shirt and shorts were soaked in sweat. So much for the cool weather. We started on a gravel road. Someone behind me called my name and I turned around to see Alison Gillespie, my friend and physical therapist. We chatted a bit before moving into single file as we made a u-turn onto the single-track Skookum Flats trail and headed across the river and highway 410 towards the first aid station at Camp Sheppard. As we passed the aid station, Alison mentioned that her watch was 1.5 miles behind the purported distance of the aid station: 3.9 miles. I looked at my wrist, and replied “mine too” as we started to slowly climb for the next 8 miles to Ranger Creek. My watch continued to be off the remainder of the race between 0.6 and 1.5 miles. In reality, the only distances that mattered were the posted course distances, not what my watch told me. That said, it was useful to have a rough idea where one was on the course and how long it was to the next aid station. 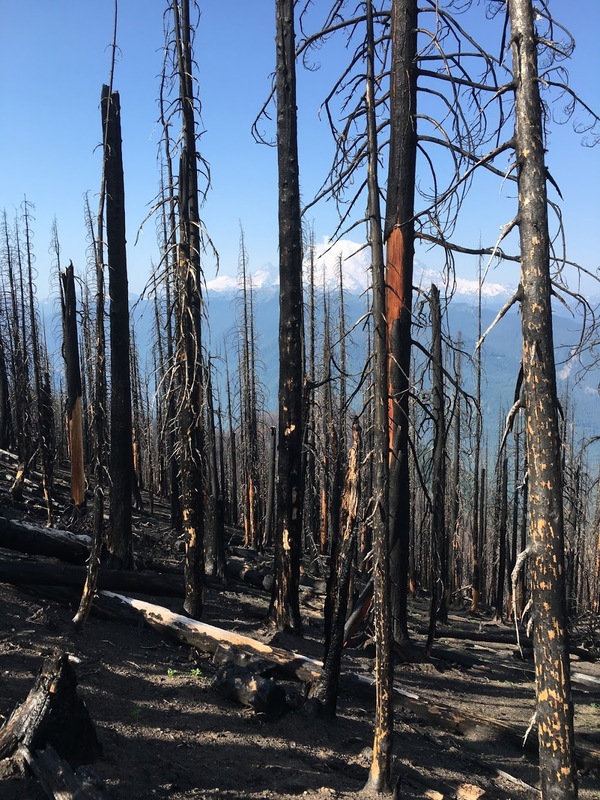 Blackened trees between Ranger Creek and Corral Pass. The trail up to Ranger Creek was a whole-lot-of-up, single-track, lots of switch backs, sort of trail. At one point, I passed an old friend, Daisy Clark who was shepherding a group up the trail. At mile 12, I arrived at the aid station at Ranger Creek. Ten-time Seattle Marathon winner and Mount Rainier FKT record holder, Uli Steidl, was working the aid station. I stopped to adjust my socks. Alison came in a few minutes after me, but headed out before I left. I leap frogged her a few minutes later and settled in with a group of runners for the bulk of the run to Corral Pass. The forest service had only opened up this the portion of the trail a few weeks prior to the race. Now I knew why. The landscape was heavily blackened by last year’s fires. The trail was very dark in places, with lots of soot mixed in with the dirt. This made the footing a little tricky in places, even a little dangerous in places along some steep fall offs. 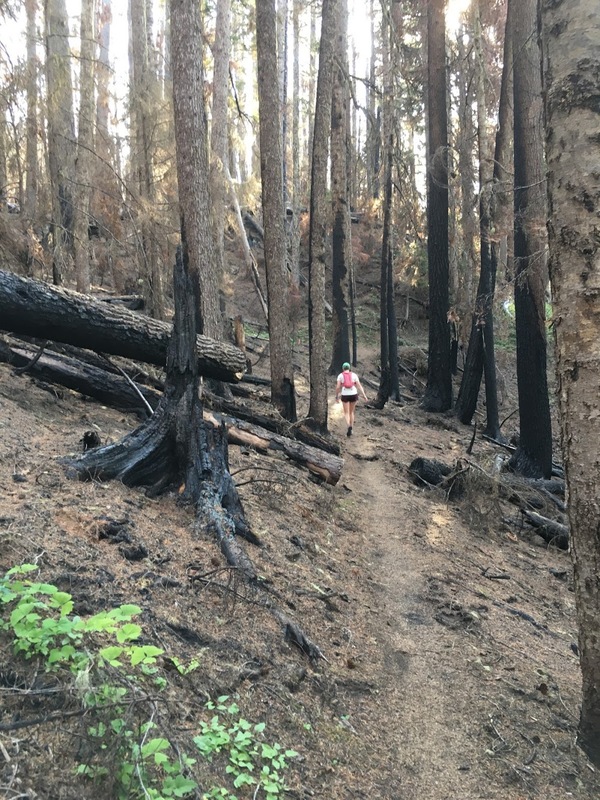 Besides the fire damage, I was surprised at the amount of ups and downs on the way to the next aid station. For some reason, I thought it would be flatter. A lot of the trail during this stretch of the race was exposed and it was getting hot. Fire-ravaged forest with Mt Rainier in the background. The trail between Ranger Creek and Corral Pass was the sole out-and-back section of the course. This was a good chance to see the leaders of the men’s and women’s races, including a few runners that I recognized, which included locals Keith Laverty, who placed 3rd in the men’s race, and Western States Superstar, Katlyn Gerbin, who also ended up finishing 2nd at White River. At mile 17, we reached the Corral Pass aid station. I grabbed my first drop bag and attempted to eat a sweet potato burrito I had packed but ended up throwing most of it out. My stomach just didn’t feel like it. I switched to PB&J, which seemed to go down better and added some Tailwind sports drink to my hydration bladder. The music at the aid station was some sort of country blues. I have to say it was quite depressing which I guess was a good thing, because I soon hurried out of the station after re-applying some sunscreen. The aid station, at 5670 feet, was supposed to be the highest point of the race, but I soon discovered that would not be the case, since the way out of the aid station was up a steep hill that must have been another 50-100 feet higher before dropping back down to meet the trail we had cruised into the aid station on. After another mile or so of sometimes steep uphills, the bulk of the return to Ranger Creek was flat or down. I adjusted my socks again at Ranger Creek, mile 22, paused for a few seconds, and then headed down the 5 miles of switch backs towards Buck Creek. One runner must have been having a hard time on the downs because at every switch back he moaned. I quickened my pace to get him out of earshot. The moaning soon faded into the distance. On the way down, I came across Jaclyn whom I had met on the White River training run several weeks ago. She was having some IT band problems and was trying to stretch it out on the side of the trail. That brought back memories of my IT band issues; fortunately, my IT band hasn’t bothered me for a while. I was loving the down hill, even though the footing was sketchy in places due to the fire damage. At mile 27, I reached the Buck Creek aid station, which was right next to the start/finish, and had an almost festival-like atmosphere, with lots of volunteers, runners, and spectators talking, yelling, sitting, standing, and moving about. A good (and fast) ultrarunner friend, Sean Micheal, was standing there looking pretty nonchalant. Mind you, Sean should have been about an hour or two ahead of me, crushing the second half of the course. I quickly realized that he had dropped due to his nagging knee injury. It’s kind of funny, but here I was 27 miles into a grueling race, with the worst still to come, and I was chatting up Sean, letting him know that he made a wise decision to drop. Another ultrarunner friend Christie, who was actively spectating at White River, was asking what she could get me. “How about some ice in your hat?” I said yes, but after about two seconds, I could not tolerate the ice directly on my head, especially since I have no hair up there to buffer the cold. I lingered a few more minutes, eating a few items at the aid station and then decided I better get going. A few steps later, another familiar but encouraging face was calling my name but, to be perfectly honest, I couldn’t place the face. She was imploring me to look up at the mountain I was about to climb. It wasn’t until a day or two later, after a Facebook comment, that I realized it was Holly, who I had run with the summer of 2017, the week before she was about to run White River. After a quick look up, I followed the trail out of the aid station. The trail meandered a bit alongside campsites and parking lots. For some reason, I stopped to stow my poles, and then passed a few runners on the flats. The trail starting climbing 1700 feet over about 4 miles of switchbacks and I pulled my poles out only minutes after stowing them. I had run this half of the race three weeks earlier on “fresh legs”, thinking at the time that it wasn’t too bad. This time, however, the experience was quite different after 28 or so miles under my belt. In fact, this was some of the darkest moments in the race for me, even as the sun was beating down pretty hard. The real race had finally begun. A coupe of runners passed me. The course was alternately shaded and exposed. The temperature was in the high 80s or low 90s. I was struggling. Making my way up to Fawn Ridge (4280 feet elevation). Photo by Suzanna Litwin. We continued to climb. More runners passed. Finally, I reached the Fawn Ridge aid station. A worker called out “151” and suddenly, several people yelled out “Paul”, including my hard-working aid station volunteer and wife, Suzanna. “What can I get you?” I quickly made a bee line for a camp chair in the shade. (In fact, it was one of the camp chairs I had loaded into our car the day before, when we left our house heading for White River.) I was wrecked. Suzanna fetched some cold water. There were 4 or 5 camp chairs there and they were all filled by tired runners. I asked Suzanna to dump out my Tailwind — I could no longer tolerate the sports drink (probably because it was hot and I had been drinking it for 8 hours now). Suzanna refilled my bladder with cold water. Suzanna also fetched a chilled bottle of Coke from my drop bag and dunked my hat in cold water. My stomach had just rejected one type of sugar water but here I was craving and enjoying a much more pedestrian sugared beverage. And it helped to revive me. I drank all 16 ounces, and then it was time to go so I headed up and and onward towards Sun Top, another 5 miles away and about 750 feet higher in elevation. While I “wasted” about 15-20 minutes at Fawn Ridge, I left a new man. And for the next hour or so, I felt much better. I soon came up upon Daisy (who must have snuck by at the aid station while I was sitting) and her entourage as we climbed our way up. It was good to settle in with a pack and listen and occasionally converse. Daisy mentioned that a nice downhill section was coming soon. After about 3 miles of up, we came upon the cushioned downhill section. I scrambled ahead of the group and took off. Another runner, Mary, went with me. I started to slow a bit and Mary passed me. After a mile of the downhill, we passed a gravel road and begun the final climb to Sun Top. By this point, the Coke had worn off, and I was again struggling as I walked that final mile to the aid station. Finally, I came upon Glenn Tackiyama, who was taking photos of the runners. Sun Top was just around the corner. Coming up to Sun Top in Beast Mode. Photo by Glenn Tachiyama. As I left the aid station at mile 37, I began a slow walk down the forest road, which for the first few hundred feet was quite rough with lots of rocks and pot holes. Still, it was downhill, I was feeling better since the aid station, and after a little hazy math and dispensing with my idea of finishing in around 12 hours, I came up with a new, though unlikely goal: finish under 13 hours. After walking about 50 feet, I started to jog around the giant rocks and potholes. Soon the road made a u-turn and the rocks were gone. I settled into a comfortable pace, put some earbuds in, cranked up some Silversun Pickups, and started passing the slower runners. I made a point of saying hi or “nice work” as I passed each one. Most of the runners looked familiar since we had played leap frog for the past 10+ hours. I was feeling good; my pace quickened. My watch called out some fast splits: 9:18, 8:08, 8:09, and 7:48. I was cruising and when no one was around singing along to the music and practicing diaphragmatic breathing. I must have passed a dozen people down Sun Top road. 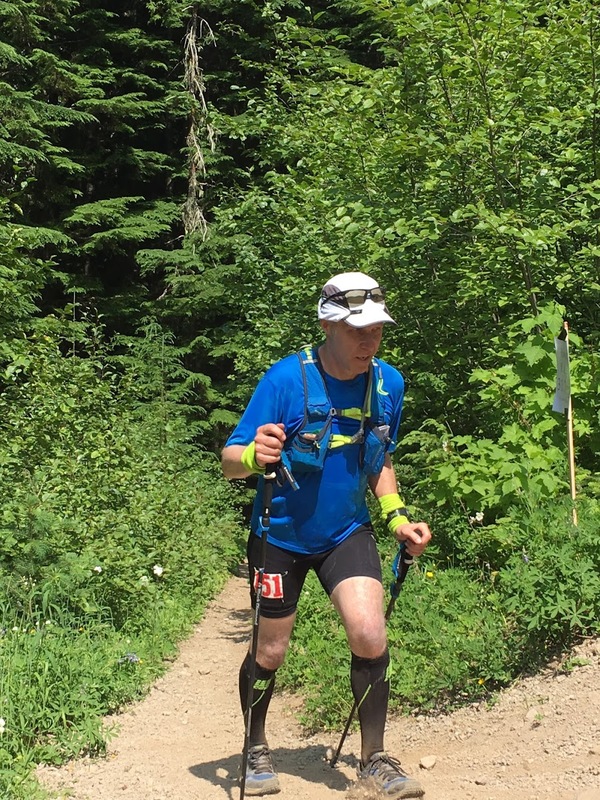 The road flattened out at the bottom and after another half mile the Skookum Flats aid station appeared at mile 43.5. I grabbed a bit of watermelon and a few ounces of Coke and was off: no time for dawdling. There was 6 and 1/2 miles to go and I was determined to run as much of “the flats” as I could. It’s worth mentioning that the Skookum Flats trail is pretty technical. Lots and lots of roots, oh and it isn’t exactly flat. But the name Skookum Rooty Rolling Hills Trail didn’t make the cut when naming the trail. Rounding the last turn. Photo by Suzanna Litwin. I had read and heard many comments from prior runners complaining bitterly about “the flats” which I had run on “fresh legs” three weeks previously. Fortunately, I more or less knew what to expect. I was also determined to finish the race strong and had a deep desire to break 13 hours so I dug down deep and started running. Within the first 20 feet out of the aid station, I passed two runners who were walking. Over the next 6 1/2 miles I would pass another 20 or so runners, almost all walking that last 6 and 1/2 miles. I mean after 45 or so miles, who wouldn’t want to walk? How much of Skookum Flats did I run? I probably ran 2/3 of it, walking the up hills and occasionally a few flat portions. But every time I caught myself walking an easy portion, I told myself to pull it together and get running. Running would make the pain go away sooner. Running would help me achieve my goal of breaking 13 hours. With a couple miles left, I turned off the music and put my earphones away. I wanted to fully experience the end of the race. Then in the distance, I could see the light break where there was a road. I climbed the trail to the road and turned to the right. Just then, two runners I had recently passed shot up ahead of me with one final burst of life. I let them go. Too young and with too much energy left in their tanks, I thought. The final stretch to the finish. Photo by Suzanna Litwin. As I saw the finish line in the distance there was lots of much appreciated cheering. I made final push to try and catch the closer of the two runners but she was going too fast for me. As I rounded the last corner of the race, I could see Suzanna. Twenty yards later I was over the finish line. A volunteer handed me my White River 50 Mile Endurance Run souvenir glass filled with some water, mentioning that I could swap it for some beer after I finished drinking the water. I slumped into a chair as Suzanna doted over me. To say I was exhausted was an incredible understatement; every muscle in my body seemed to hurt. At the same time, what an incredible feeling: I had just completed my first 50 mile race, and I made it under 13 hours. Congratulations on your 50 mile finish! 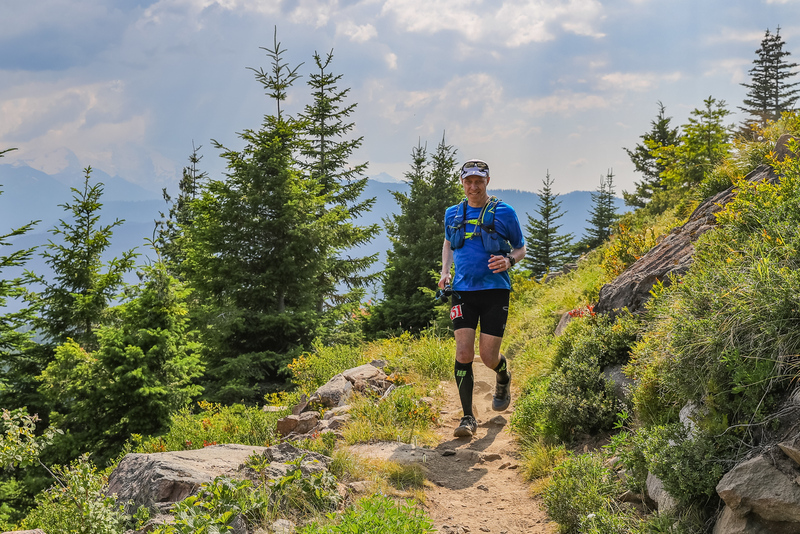 This is a really nice race report and captures so many of the experiences I’ve had during trail races – the drink that stops working, the pain of ice on my head, despair and then recovery. Well done! Thanks, Mark, for the kind words. Your amazing racing has always inspired me! 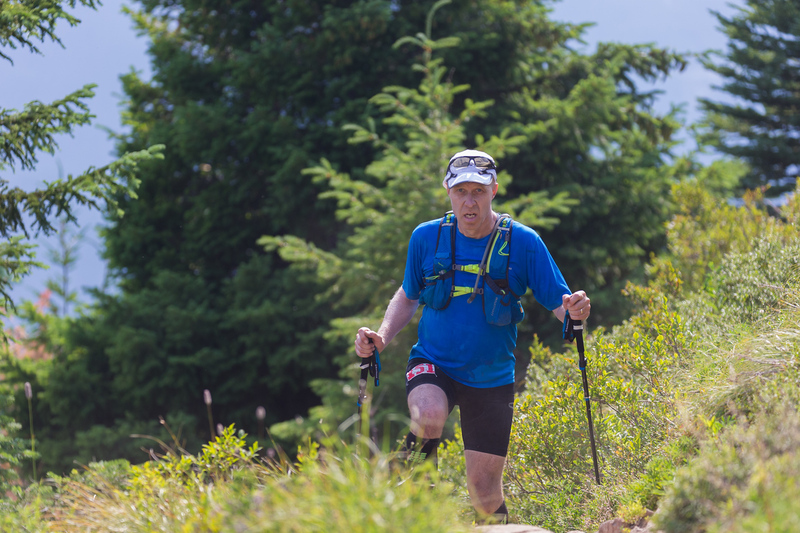 A most enjoyable read, and congratulations on completing 50 miles. It must be a big boost to have finished so strongly. I recently completed my own first 50 so I have a good idea what you’ve been through and achieved.